Yesterday I drove north to Shipshewana, Indiana, along with two friends from our Thursday sewing group, to the annual quilt festival. I go to Shipshewana a few times a year, but this was the first time I had been there during the quilt show. It was wonderful, and I always enjoy my visit there. It was so nice to visit with so many friends there that I hadn't seen in a long time. I had a great time. I'm going to share just a few quilts from the show. Some are prize winners, and others are just some that I really liked. This first one is the Best of Show by Nancy Prince, On This Winter Day. I neglected to get a close up photo of the info above the ribbon, but it took her 7 years to complete the quilt, and I believe there is something like 7,000+ yards of thread in it. A lot of the things were heavily thread painted. It was really an awesome quilt to see in person. Here is a close up of one of the houses on the quilt. Look at the people in the windows! Here's another house with a close up of the machine quilting. I neglected to get the name of the maker on this quilt, but it was my favorite. The flowers in the baskets are all dimensional and embellished with embroidery. Since there was no ribbon awarded, I don't have the makers name on the winner's list either. This quilt is by Sandra Peterson, Bohemian II: Ferris Wheels and Kites. Third place in the large pieced category. This quilt is by Janet Stone and is called No L. She won 2nd place in the mixed media-large category. The rest of the quilts have photos of the info cards with them. This one has 1,573 pieces. The logs were very narrow. This pattern is called Insanity, and it appeared on the front cover of Australian Patchwork & Quilting magazine Volume 16 Number 6. I bought that magazine just in case I ever get the urge to make this quilt. Once in awhile I pull the magazine out just to look at the large, colored photo of this quilt. 10,509 half inch hexagons. I'll probably just keep looking at the nice photo. I've made several baskets that look similar to the ones in this quilt. I've added mine to an applique' center on point a bit like this arrangement and am working on English Paper Piecing an outer border for it. I like this quilt. The center applique' is made of wool. This quilt is just striking. There is lots of tough piecing in this one. Here is another neat log cabin arrangement with tiny logs. The machine quilting looked just like hand quilting. It was done on a Baby Lock Sashiko machine. There is a car museum adjoining the conference center where the quilt show and vendors were. Most all of the cars had an antique quilt on it. Someone told me that the quilts were from the collection of Eleanor Burns. This was a nice way to display the quilts, and a lot of people there were having fun looking at the old cars. Here are my purchases for the day. Some are from vendors, but most are from Lollys and Yoders. It's a pretty small haul, but I have uses in mind for most everything. OK. I don't have a clue what I'll use that little pile of trims for, but my friend Michele texted me before I got to Shipshewana and said I should stop by the booth and check out the rick-rack with the checks and dots. I thought it was probably something I needed in my stash. The trims are from Heritage Quilt Shop. You can get them on line! I bought this little basket at Rebecca's Arts and Antique store. It's always nice to see Rebecca and visit with her for awhile. This little basket is perfect to hold my trims! I haven't done any sewing yet today. I went to the porch to take the photos above and fell asleep on the love seat there. It's really warm and humid today, but I'm going back out and do some stitching before time to get dinner. I get a lot of questions and comments about my tutorial for the knit mitered square sock blanket using leftover sock yarn. You can find the tutorial on the tab under my blog header here. I know this is mainly my quilting blog (my crochet blog is here), but since I have the tutorial for the sock yarn blanket on one of the pages on this blog under my header, I thought I would post this here. Our local yarn store, Mass Ave Knits, here in downtown Indianapolis, started doing a larger version of this mitered square using Liberty Wool yarn. When I started this, Liberty was coming out with 2 new colors of yarn each month (and they still may be). I started that project with the Liberty yarn, but in the meantime I found this Bernat Super Value Stripes yarn. Since this blanket will be used by a child, I think the Bernat yarn will work just fine. Plus, the colors are more vivid. Any worsted weight yarn would work, but I chose this because of the stripes. Here is a comparison between my mitered square sock blanket (still not finished) and the larger mitered squares. I'm using 4 different color ways of the yarn for the big squares. Each of these larger squares measures approximately 12 inches. They can be set with the same layout as my sock yarn blanket joining the squares as you knit. Or, they can be whip stitched together into squares like this. I still haven't decided how I will put these together. I may stitch 4 of the same block together to make larger squares of one color way when I have more of them completed. Pattern for 12" mitered square. This square is made the same as the squares in my tutorial that are done with sock yarn. Row 1. Knit 1 row. Turn. Row 2. Knit 45, Double Decrease, place marker, knit to end. Turn. Row 4. Knit to 2 stitches before marker, double decrease, knit to end. Repeat rows 3 and 4 until there is 1 stitch left on the needle. I finished this Mickey Mouse quilt for my Grandson's big boy bed. When his little brother was born, I realized that he wouldn't be in the crib much longer. 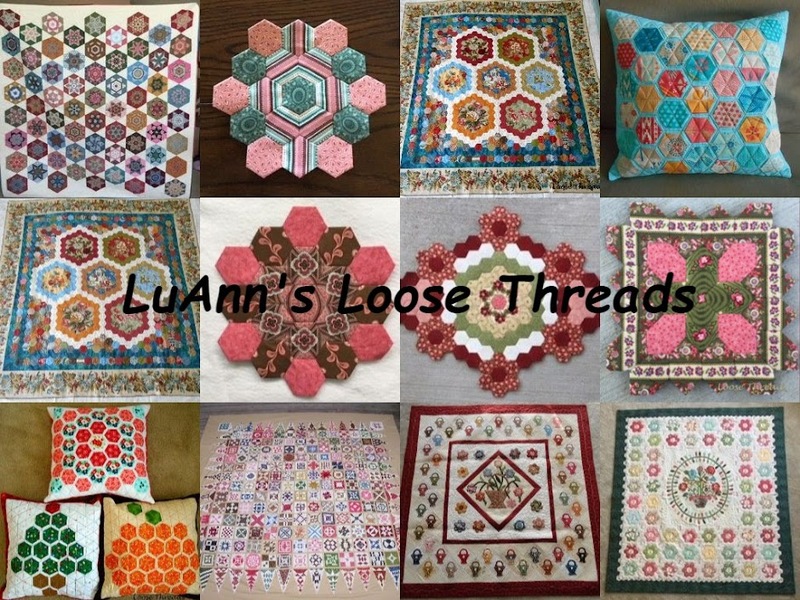 When I was visiting Michele in Kentucky, we not only took the Bonnie Hunter Turkey Tracks class, but we sewed a lot. Michele had this Mickey Mouse panel in her stash, and she gave it to me along with a yard of the black Mickey head toss fabric. I bought more of that fabric, and I added the yellow and white four patches and the red and white polka dot squares. Here is the Mickey panel before I started the quilt. I machine quilted inside of Mickey's face and body with thread that matched the colors in the panel. Then I did a paisley pattern in an off white on the rest of the borders. I machine stitched the binding using a tutorial from CJ that attends our Shipshewana retreat. This is the first time I tried it, and I'm happy with the results. It looks like I have a little red flange along the black binding. Daniel was pretty happy with his quilt and matching pillowcase for his bed. He is sleeping in the same bed that his Daddy did (my son). It was my Uncle's bed before that, so it's been in the family for years. We've been busy doing some landscaping along the side of our house. OK. I'm shopping and picking out the plants, and my DH is planting them. We live on a curve, and you an see this side of our house as you round that curve. It looks bare, and also our kids said that it would be nice to have something to put Christmas lights on so that side of the house isn't so dark. This is a hydrangea tree, and the others with blooms are knock out roses in cherry pink. The light green bush to the right is a privet bush. The little green plant on the left is a peony and will have to be relocated. We have another privet for the other side of the tree. Daniel and I had a fun day last week shopping for plants and having lunch. I hope you are finding some time to stitch today! It's 69 degrees and windy here. I took some stitching out to the porch, and I was cold. So I'm in my sewing room today. I know that by the end of the week, I'll wish for this cooler weather. Here are some of the things I've bought during my travels the past couple of months. I think most everybody wants to look at "the haul". As quilters, you probably totally understand this first photo. Why would someone buy carrot nose buttons? Well, because they were there. And you never know when you might make a snowman, and he just might need a nose. I bought these fabrics just because they were bright and happy. I've already started a project with them that I'll share in a later post. I love Aurifil thread. I use it for hand piecing my English Paper Piecing projects, machine piecing, and I have lots of different colors that I use for machine quilting. I like it for hand work, and my Bernina likes it and behaves very well with this thread! These came from the Primitive Gatherings booth in the Finkel building. Here is a bit of what I bought in the mountains at a shop called Mountain Stitches by Susan. I had been looking for a fat quarter pack of the checked fabric and more dots to add to my stash. Her shop is in Gatlinburg, TN, and is part of the Smoky Mountains Arts and Crafts Community. There are 8 miles of all kinds of little shops with many different crafts. It's an area I love to visit. I'm in the process of cleaning my sewing room, and if I find anything else I'll be sure to post it.